Ever wondered what it would be like to bed down for the night inside a contemporary artwork created by a world-famous artist? Well, here’s your chance. I am rather partial to Art Deco architecture. The Sussex seaside town where I grew up was designed around a 1930’s lido and dotted with Deco-inspired holiday chalets. So, my first visit to The Beaumont hotel, set in a listed Deco building, meets with my approval. 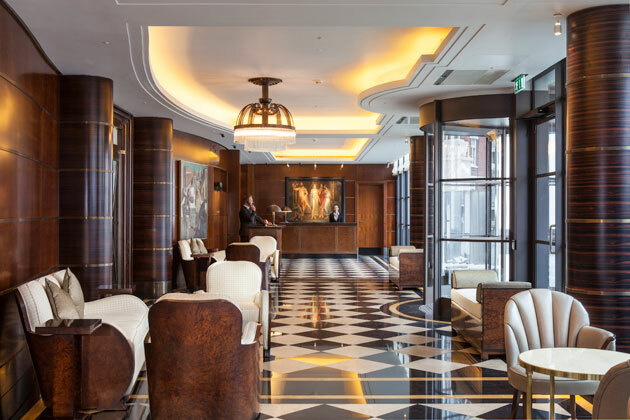 Opened in September 2014, The Beaumont is the work of London restaurateurs Chris Corbin and Jeremy King. They already own The Wolseley, The Delaunay and Café Colbert, but this is their first venture into the hotel business. Tucked away in a quiet square behind Oxford Street, The Beaumont’s central location puts you in proximity of Bond Street, Oxford Street and Hyde Park, as well as the celebrity playground that is the Chiltern Firehouse. It’s a far cry from the car rental business, which occupied the site for years. These days, the only automobiles you’re likely to see parked out front are Jeremy King’s vintage Bristol and the hotel’s courtesy car. The latter, a Daimler, is chauffeur-driven and in this bygone setting you can easily imagine a fictional character such as Hercule Poirot getting in. 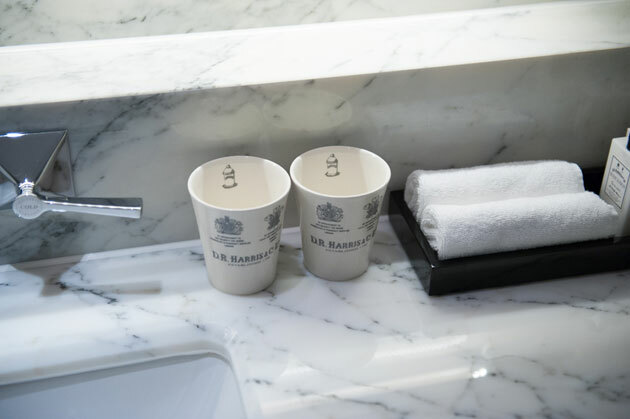 Meanwhile, with museum quality art and sculpture increasingly being integrated into public and private spaces, it was only a mater of time before London’s luxury hotels upped the wow factor. 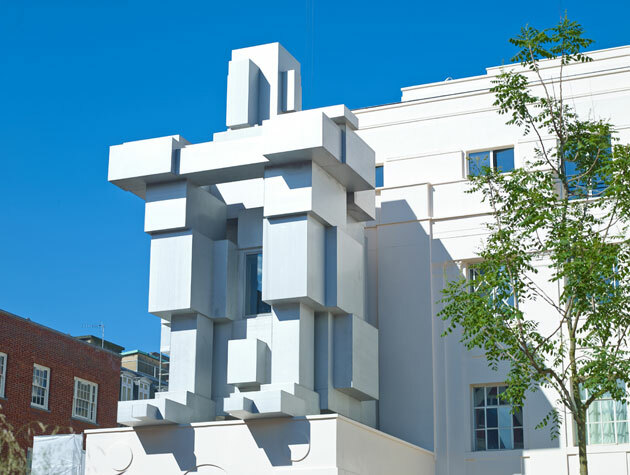 ROOM is a habitable sculpture designed by British artist Antony Gormley to sit on The Beaumont’s façade. The giant crouching cuboid figure was commissioned as a piece of public art and so by rights, anyone can take a look at it from inside as well as out, but just be sure to call the concierge in advance. The unique interior features a suite measuring 4 square metres wide and 10 square metres. 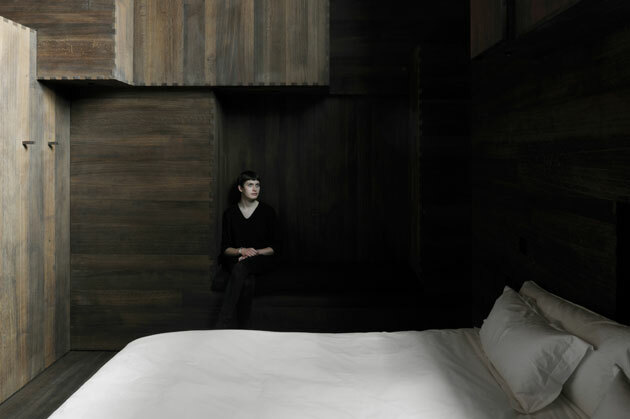 It contains a high fumed oak-clad bedroom, which is accessed up some steps and through a heavy blackout curtain. Aside from being pitch black, the room is eerily quiet considering this is central London. I can see why it would appeal to an art-loving insomniac – one with £2,250 to spend per night. Elsewhere, room rates start at £395. I especially like the Deco touches in each room and suite. Even the laundry drawers contain embroidered shoe bags and cleaning kits. I also spot Deco signage in the underground spa, which houses a small Turkish Hamam. Here a 30-minute body scrub costs £65. Then there is the Cub Room, which is designed exclusively for hotel guests. 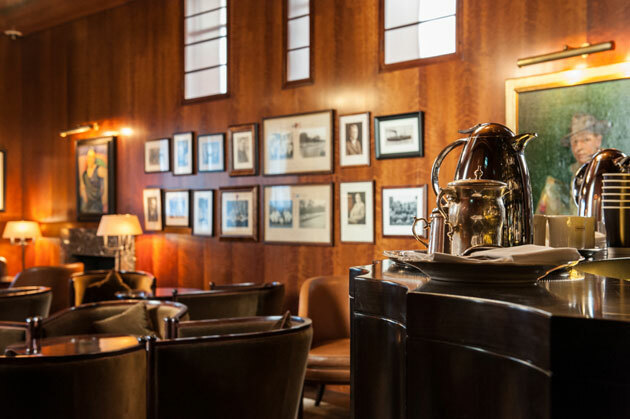 It feels like a gentleman’s club complete with wood panelling and original ‘30’s paintings, which King’s art-collector wife picked up on her travels. And finally, the hotel’s Colony Grill Room and The American bar. I’m here on a weekday and it is packed, mostly with men in suits. Specialities include a Caesar Salad made at the table, while the bartender recommends the house cocktail – aptly called The Beaumont. It fuses champagne, elderflower, pineapple and sherry. Before I leave, Nigel Bowen, head concierge and a fountain of knowledge on the surrounding area, kindly gives me a hotel umbrella to fend off the afternoon deluge. He recommends I cross the road to the Italian terraced garden, which sits above a Victorian electricity sub-station, for the best view of the Gormley sculpture. From this vantage point, I see what appears to be a giant robot staring back at me. Saudi-born Abdullah Al-Turki is a contemporary art collector and founding member of the Saudi Art Council, which runs the annual initiative “21,39 Jeddah Arts”. 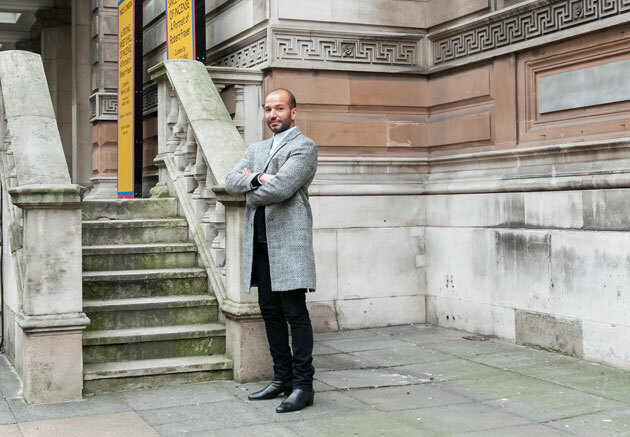 He also sits on Tate’s Middle East North Africa Acquisition Committee, Guggenheim Middle East Council and works closely with London’s Institute of Contemporary Art (ICA). He has recently co-curated the ICA’s latest instalment of ‘Off-Site’ projects: Hong Kongese. The showcase opens in Hong Kong during Art Basel (March 15-17th) and features a group of leading international contemporary artists. When he is not travelling to art fairs around the globe, Abdullah counts Mayfair as his second home. In his opinion it is the healthy mix of shops, offices and restaurants, which makes this neighbourhood stand out from any other area of London. As for buying contemporary art, his advice is always look for the idea not the visual aesthetics or the subject matter, and always follow your instincts. The dedicated follower of fashion also knows how to spot the perfect white shirt and jeans. As for his all-time favourite cheeseburger, pastry chef and DJ night – he reveals all below. Peyote restaurant and bar is mind-expanding in a ‘different’ way. The owner has consulted with Mexico’s most celebrated chefs and uses fresh ingredients to create a unique and authentic cuisine with a modern twist. The food is delicious and the space has a great vibe. I go there often during weekends as they usually have great DJ’s spinning live. I first came to know about Chucs through their chef who is also behind the great menu at ‘KX Gym’. At Chucs, the menu features a mix of Italian and continental dishes, all made with the finest ingredients from Positano. With its wood-panelled, yacht-like interior and staff dressed in nautical uniforms, you feel as though you are out at sea. The restaurant is open all day, which makes it particularly useful after gallery hopping, or shopping in Mayfair. Swedish design collective Acne (Ambition to Create Novel Expressions), was founded in 1997 by Mr Jonny Johansson. Initially, the brand specialised in jeans but has since become synonymous with sleek, modern classics infused with Scandinavian cool. The designs are always practical and the colours really reflect my personal style. I buy all my jeans from here, as well as the white button down shirts, which I wear on a daily basis. I also love their quirky slogans such as “You First” etc. The Dover Street Arts club has become my second home ever since it re-opened a few years ago. These days, I spend a lot of time here for meetings and entertaining. The service is always great and the roster of chefs, never fail to impress. There are a wide variety of cuisines to meet everyone’s taste and service is provided all through the day. My favourite cheeseburger in London is the one made here. They also serve amazing sushi. Chef Claude, the pastry master, is very innovative and I believe he bakes the best banana cake pudding in town! Sprüth Magers Gallery is just a few steps from Old Bond Street and I am a huge fan of its art programme. I highly recommend seeing Barbara Kruger’s early works now on at the Skarstedt space and the white abstract exhibition at the Dominique Lévy Gallery. Another current show I would recommend is “A Strong Sweet Smell of Incense”, at the Pace Gallery. This showcases many of the leading figures on the American and European contemporary art scene and gives an insight into their relationship with London between the ‘60’s and ‘80’s. 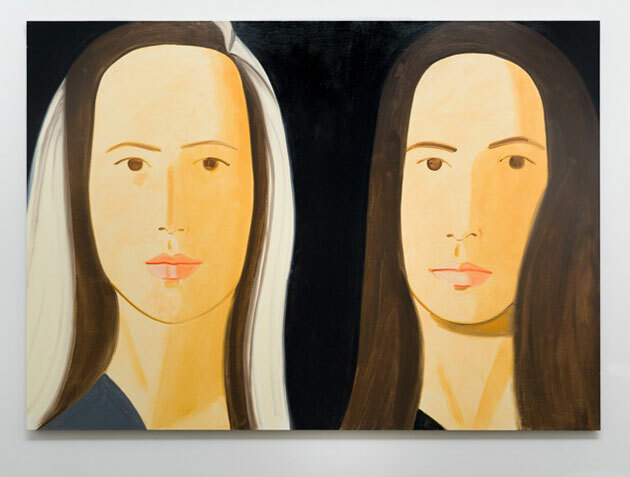 Alex Katz Black Paintings 28th February-2nd April 2015 Timothy Taylor Gallery. Alex Katz hails from Brooklyn, New York and graduated from the Cooper Union Art School in Manhattan in 1949. Today, the 88 year-old, continues to create larger than life prints and paintings – both figurative and abstract. In his latest works, currently on show at the Timothy Taylor Gallery, the depth of the black oil paint contrasts against the dramatically studio-lit figures in a series of striking portraits. Subjects identified by first names only are presented in a wide CinemaScope format. They can be likened theatre performers caught mid-motion under a huge spotlight. That said, each one, be that Nicole or Eleanor still manage to maintain an air of cool nonchalance. This exclusive extract taken from Timothy Taylor’s exhibition catalogue, features a conversation between Katz and Iwona Blazwick, director of London’s Whitechapel Gallery. It sheds light on Katz’s unique way of working, as well as the inspiration behind the glossy darkness. the middle. So, you are presenting this new body of work in London – it looks very exciting – I was sent some jpegs, so I’m afraid I’m basing it on looking at them on a computer. But I can see that it’s a series of figures against a dark, monochromatic background, which reminded me of perhaps two different modes in your paintings. Firstly, I was thinking back to a portrait you made way back in 1959 of James Schuyler where he is a single figure against a non-representational dark grey background. The other body of work I was thinking about was the night scenes, like Ada’s Garden (2000). So my first question is; which are these? Are these monochromes or are they night paintings? a look, that was the night you know – that was the beginning of the night paintings. You know, I guess it’s both. IB — And, the figures, are they from memory? AK — No, they’re all from life. And it’s about the light. IB — So when you paint them, you’re not painting from life, they’re not standing in front of you? AK — No, no, I make sketches about 16 inches, from life, they’re rather quick. And then I make a finished drawing, from the painting, and then I make a cartoon. And then the cartoon goes on the canvas, and then I paint it. So when I paint it it’s quite removed from the initial thing. IB — I note that in the clothing, Nicole is in a duffel coat, Ariel is naked. What is the relationship between these figures? Are they all united by an event? Or is each one in their own moment? AK — No, each one is in their own moment. The one of Nicole is my version of the Polish Rider [Rembrandt]. IB — Ah, that’s interesting. AK — See, it’s a romance picture. And the predecessor for that would be the blonde in the red convertible. IB — It’s striking that you always picture people outside of the flux of everyday life. AK — Well I think that a big source for my early paintings was Impressionism. I think that Impressionism is never-never land. It’s the sunny-side of life, and I think that it comes from that. 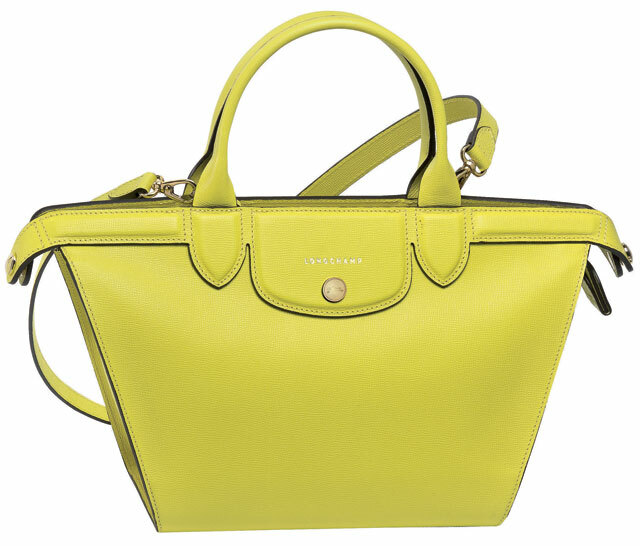 As far as feelgood factors go, Longchamp’s neon yellow heritage bag is on a par with seeing spring’s first crop of daffodils. The signature design, which forms part of the new spring/summer 2015 collection, boasts curved handles, a side strap and is available in two sizes; small (£660) or large (£770). The French luxury label has also produced a short film to mark the launch. Click here to see Alexa Chung, brand ambassador and stylish girl about town, marching around the rooftop of MAMO, Centre d’art de la Cité Radieuse in Marseille. Set against a backdrop of Daniel Buren artworks, Chung pairs heritage bags in a variety of eye-popping colours, with equally bold pieces from Longchamp’s spring ready-to-wear collection.